What exactly is HCG? Human chorionic gonadotropin is a growth hormone which is naturally produced by women who are pregnant. It was initially discovered in the 1920s by a doctor in the UK. In researching and studies, it was learned that HCG helps the body during "starvation mode", or what would be known as starvation mode in individuals who aren't pregnant. Since women are feeding for two during pregnancy, the HCG hormone is intended to help keep weight gain at bay, as it is intended to help them feel fuller, for longer periods of time, or assist with satiety. In turn, women eat less when they are pregnant, since they do not feel hungry ,and still provide enough nourishment for their baby. This phenomenon has been brought to the world of weight loss, through the use of HCG drops to aid in weight loss. HCG drops are intended to mimic what the hormone does in the female body during pregnancy, in an effort to help dieters who are trying to lose weight, consume fewer calories, burn more calories, and help in the weight loss process. So, now that you know what the hormone's function is in the body, how exactly is this going to help you lose the excess weight you've been trying to get rid of for so long. HCG drops basically mimic what the growth-hormone (HCG) does in the body, helping with satiety, and helping dieters eat less while on a restrictive diet. HCG drops help with regulating metabolic imbalances as well. This is true, of course if the right drops are used during the weight loss period. HCG drops are intended to help the body boost the metabolism, help with imbalances, help speed up slow or lagging metabolisms, and help those who otherwise struggle with burning fat and calories (through the body naturally) do so more efficiently while they are using the drops. HCG drops should be used on a lower-calorie diet Initially when the HCG diet was introduced, dieters were restricted to consuming only 500-calories daily (putting them on a VLCD, very low calorie diet). So, in addition to the body naturally burning more fat, burning more calories, and speeding up the metabolism, when incorporated with the HCG drops, it is highly effective in helping dieters lose more weight while on the diet. In conjunction with the drops, eating fewer calories will help the body during starvation mode, and will allow it to feel full, even though you are not consuming as much food as you were used to consuming. Ultimately, this is intended to help you "trick your body and mind", so that when you cease use of the HCG drops (and the diet in general) ,you do not go back to previous eating habits, as this would simply lead to weight gain all over again. So, you are retraining your body and mind to eat fewer calories naturally, to feel fuller on less fuel (or less food) and to burn more calories, as the metabolism is going to kick-start when it is used in conjunction with the drops. Homeopathic vs Prescription HCG: Is there a difference? When shopping for HCG drops you may have seen homeopathic and prescription drops. So, which ones are more effective? Is there really a difference? Should you purchase one over the other? Let's take a look at both options for those who are on the market for the HCG drops, and want to ensure they make the right choice when the time comes to order them for diet/weight loss use. - Potent, and actually burn more calories. - Speed up the metabolism naturally. - Help increase satiety while used on a low calorie diet. - Give the body the "fuel it needs", when you aren't consuming as many calories as you otherwise would. Basically, the drops are going to serve as a fuel source, so that you do not go into starvation mode. While on the HCG diet, you are not consuming much food at all; in fact, many still stick to the 500 cal mark (or very close to it). With such few calories your body would naturally go into starvation mode. The Prescription HCG is intended to "mimic" food, so the body thinks you are eating more, and it will not shut down, and go into starvation mode as it would, if you were simply restricting calories so much. The second option is the homeopathic route. With these drops, you are not getting 100%, unfiltered HCG drops. Companies can put fillers, they can incorporate other liquids ,and byproducts. Not only are these drops far less effective, they are going to send your body into starvation mode, which is just what you are trying to avoid while you are on the diet. Since it is basically water drops in a bottle, your body is not going to get the "fuel" it needs, through the HCG hormone. You incorporate this with the fact that you are on such a restrictive diet, are consuming so few calories during the day, and are not getting enough food, and your body will shut down. The metabolism is going to stop working, you are going to feel tired and groggy, and you are likely going to have to visit a doctor very soon, as you simply can't sustain this type of lifestyle. This is the main drawback with homeopathic HCG drops. They are not unfiltered nor are they pure. So, you do not know what you are putting into your system, and you are not getting the necessary growth hormone the body needs, in order to survive, thrive, and actually shed the weight you are trying to get rid of when on the diet. Your body goes into starvation mode, and you are going to feel it after a very short period of use. For such reasons, it is best if you order through an reliable vendor, to ensure you are getting prescription-grade HCG drops. Not only for your safety, and your metabolism's safety, but also to help you reach the goals you are trying to reach, without feeling tired all times of the day. You can order your unfiltered, natural HCG drops here. Sublingual drops are placed right below your tongue. You do not have to inject yourself, you do not have to spray them into your nostrils, and they are highly effective, as the body will instantly filter it through your system. Not only are sublingual HCG drops more effective than other forms of the HCG growth hormone, they are also far more popular as they eliminate the pain (of injections) and discomfort (of nasal sprays). The drops are simple to place under the tongue, can be done virtually anywhere, and nobody has to know what you are doing, if you are the discrete type of individual. Sublingual drops are highly effective when proper dosage and use are incorporated. Again, they are going to be directly digested into the bloodstream, as they are going through the mouth, into the stomach for digestion. The drops are going to go through your body as food naturally would, so they are not going to take too long to be effective, nor are they going to be filtered when they are passing through the system. For the most effective use and best results, sublingual HCG drops should be taken in the AM and PM hours. They are simply ingested post-meal in the morning and evening hours. Depending on potency, your dietary goals, the prescription, and the directions on the bottle, each user is going to take a different amount of HCG drops while ingesting. For best results, it is important to ensure you follow the dosage instructions, based upon your personal goals, in using the drops to help you in weight loss. Not only for high-effective rates, but also to ensure they are safely consumed, and to avoid overuse of the drops, when you are ingesting them a couple of times during the day. When ordering your HCG drops, you want to find the best price, and you want to ensure they are not going to expire if you do not use them quickly enough. 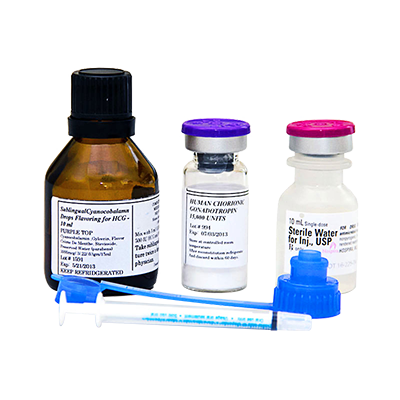 To ensure your bottle is not close to the expiratory date when you order, you have to go through a reputable supplier for HCG drops, as well as other weight loss products you choose to use. At Nuimage Medical you are going to find those drops. They are safe, effective, and they are intended to last as long as your diet lasts, which means there is no waste, no loss, and no need to dispose of dated drops you didn't use. Are you going to do the HCG diet for 1-week, 1-month, several months, or longer? Depending on duration of the diet, it is best to order 1-bottle, to see how long it lasts, and to ensure you do not waste if you do not complete the entire bottle (if doing the diet for a short period of time). This is important, as it is going to guide how much you are using each day. If you want more effective results, you might use more drops than other dieters on a given date. Again, make sure you follow dosage instructions, but also account for your weight loss goals, and how quickly you want to lose the weight. Our drops are 100% natural, prescription-grade. This means no fillers or byproducts, which also means the expiration date is not going to extend as long as the date would on homeopathic drops, or those which do contain fillers and byproducts. So, ear this in mind when you are ready to place your order, to ensure you do not over-order the drops, and to ensure you are going to have sufficient amounts, for you to complete your diet while trying to lose weight with the drops sold through our site.